The shō is a Japanese traditional instrument with an ethereal quality capable of producing a sustaining uninterrupted sound. 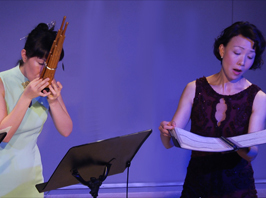 Its combination with female voice and violin reveals the multifaceted quality of the instrument and its potential for contemporary music composition. 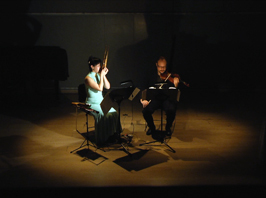 The programme includes new works by the JSPS Post-doctoral Fellow Basil Athanasiadis and the UK-based Hong Kong composer May Kay Yau, both composed especially for the occasion. 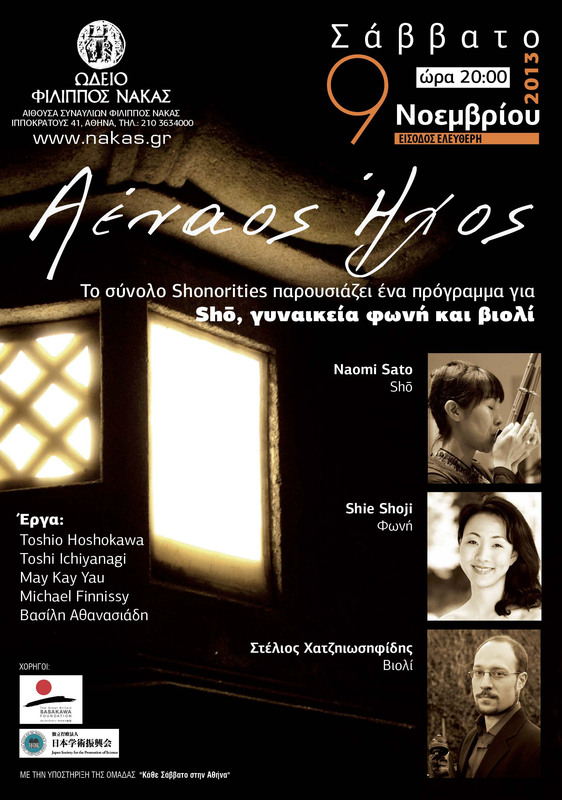 The rest of the programme includes a traditional Japanese piece for solo shō as well as rarely performed works by the Japanese and British composers Hosokawa, Ichiyanagi and Finnissy. 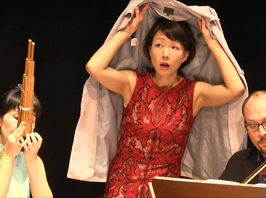 This performance project has been made possible through the generous support of JSPS (Japan Foundation for the Promotion of Science) and the Sasakawa Foundation.